This volume seeks to unravel and contextualize the so-called dichotomy of `old' and `new' India and what binds them together. To understand this complex process, it attempts to apply a long-term historical perspective, a different conception of the economy and cross-disciplinary approaches. The exceptional feature of this volume is the large historical canvas of essays and its sensitivity to the regional dimension in a country as large and diverse as India. 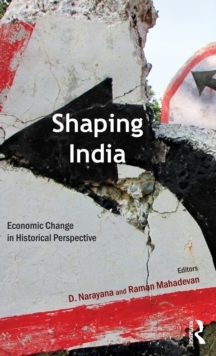 They deal with issues ranging from land and agriculture, entrepreneurship, industry and demographic trends to a critical anatomy of modern Indian economic historiography. Together these essays contribute in providing significantly new and enriching insights into the complex process of transition from colonial to post-colonial economic development. There has been a conscious effort in most cases to capture the influence of the colonial economic structures and processes in shaping the trajectory of growth and development in the post-independence period. Drawing upon a large amount of extremely rich and varied data and information on the socio-economic trends, the book is lucid, well-crafted and reader-friendly.